The Buzzer blog » More station upgrade progress at Joyce–Collingwood! More station upgrade progress at Joyce–Collingwood! 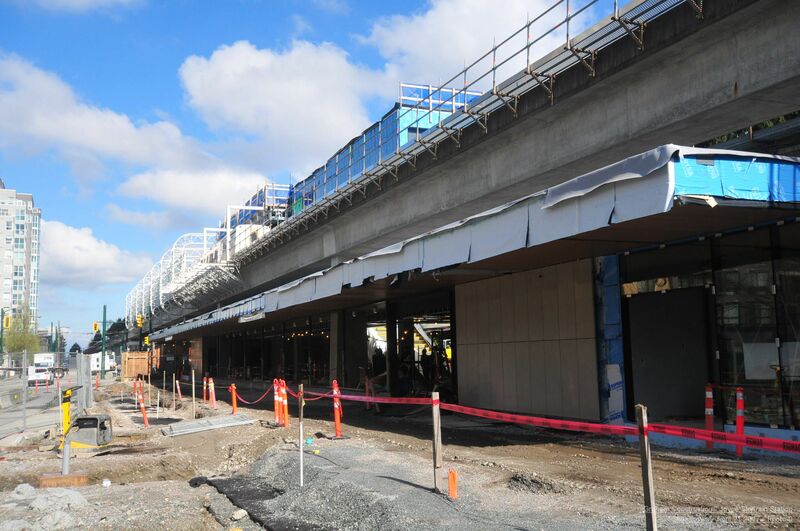 Joyce–Collingwood Station is looking more refreshed by the day as work continues on upgrading our fourth busiest Expo Line station outside of downtown Vancouver. These upgrades seek to improve safety and security for riders as well as accessibility to the station. Escalator installation work is complete. Timber ceiling installation in the new east stationhouse is now complete. New lighting on the platform improves safety and security. Bus shelter footings are now installed. Look for two new bus shelters at the station later this summer! Newly installed glass panels improve visibility on the platform. Bike Parkade work is ongoing and when complete, customers can access the parkade using their Compass Card. Thank you for your patience as we complete these much-needed upgrades to the Joyce–Collingwood Station and stay tuned for additional updates throughout the project. Monday to Friday: 5:30 a.m. to 12:30 a.m.
Saturday and Sunday: 6:30 a.m. to 11:30 p.m.
Monday to Friday: 12:30 a.m. to 5:30 a.m.
Saturday and Sunday: 11:30 p.m. to 6:30 a.m.
For more information on this project visit translink.ca/joyce. For up-to-date construction info, visit translink.ca/ontrack. Main Street-Science World Station upgrades are now complete!